On Tuesday night, Mexico’s Attorney General’s Office (PGR) circulated information only to some Mexican news outlets “disqualifying” a story published by Breitbart Texas. The piece revealed how a Mexican Deputy Attorney General for Organized Crime called the U.S. Department of Justice attache at the embassy in Mexico City. The purpose of the call was to inform the U.S. government that Mexico’s Attorney General’s Office (PGR) agreed that former Tamaulipas Governor Tomas Yarrington could be extradited to the U.S.
On Wednesday morning, Mexico’s El Norte newspaper published an article revealing that based on consular letters, Mexico’s Ambassador Juan Jose Guerra Abud asked for information as to Yarrington’s whereabouts and status updates. On the other hand, Cristina Posa, the U.S. Department of Justice attache in Rome requested that Yarrington be considered a flight risk until the extradition proceedings take place. El Norte‘s article further exposes deceit by the PGR in their claims of not backing down in connection with the extradition scandal. This comes one day after Breitbart Texas exposed the Mexican law enforcement agency for falsely claiming credit for the arrest of the fugitive. As Breitbart Texas reported, agents with U.S. Homeland Security Investigations and Italian police were responsible for Yarrington’s arrest. A news release from Italy’s Polizia di Stato credits HSI-ICE for the cooperation and make no mention of the PGR or any Mexican agency. The former Tamaulipas governor is facing multiple drug trafficking and money laundering charges from the U.S. Southern District of Texas. The allegations in the criminal indictment claim that Yarrington took bribes from drug cartels in exchange for official protection. The denial by the PGR comes at a time when Mexican federal law enforcement’s advertised desire to prosecute Yarrington stood in contrast to various cases where politicians, including at least one more governor, have been linked to cartels by U.S. federal agencies while Mexican officials turned a blind eye. As Breitbart Texas reported, Mexican federal authorities released Yarrington’s alleged money man, Alejandro Cano, after state investigators from Tamaulipas and Nuevo Leon arrested him for his extradition to Texas. Cano is named in the same criminal indictment as Yarrington on various money laundering charges and is wanted by the U.S. Department of Justice. During the 2016 gubernatorial elections in Tamaulipas, former governor Eugenio Hernandez Flores made a public appearance to vote. As Breitbart Texas reported, the former politician is listed as a fugitive by the U.S. but continues to live in Mexico. Hernandez is accused of laundering cartel bribes in Texas. 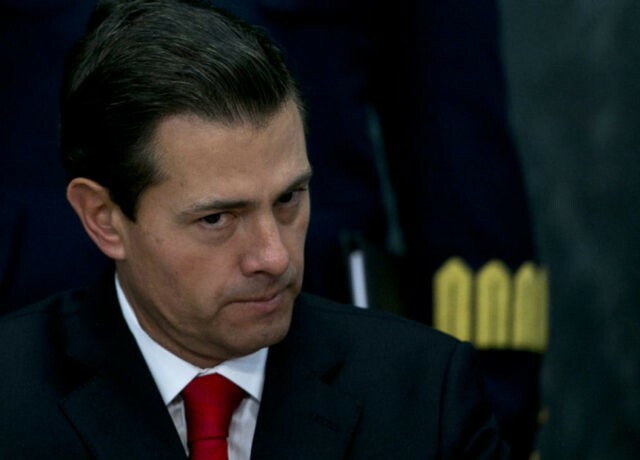 On Monday night, Alberto Elias Beltran, the Deputy Attorney General for International Affairs, was asked by Mexican news outlets if the PGR had an arrest warrant for Hernandez. The Mexican official said that his agency did not. In November 2016, Breitbart Texas published a leaked document that proved that the Tamaulipas government, which at the time was ruled by the same party as Yarrington and Hernandez, had been providing state cops as armed security guards to both politicians, even though they remained listed as fugitives by the USDOJ. Mexican federal prosecutors have also turned a blind eye to the former mayor of Matamoros, Erick Agustin Silva, who is wanted by the U.S. for money laundering charges. As Breitbart Texas reported, stateside authorities seized various assets belonging to the politician, however, he continues to live in Matamoros free from extradition. Last week, U.S. authorities arrested Ivan “La Reyna” Reyes Arzate, the former top Mexican police officer in a special unit that worked with U.S. law enforcement to tackle drug cartels, Breitbart Texas reported. Arzate was charged with leaking classified information to the leaders of one of the Mexican cartels he was tasked with investigating. The PGR is the same agency that has been accused by human rights activist of trying to cover up the disappearance and likely extrajudicial execution of 43 students from the rural community of Ayotzinapa. The official version of events pushed by the PGR was challenged by international forensic investigators. The families of the victims have not received any answers. The New York Times published an article based on a document proving that the PGR mismanaged and doctored evidence in the Ayotzinapa case. Soon after, the PGR “desmintio” or denied the claims made in the article–arguing the document was a draft or a project.